number three in the diamond life line for pure jungle from netherlands myor. here comes a 45 rpm two track split with death man's chest and label boss coco bryce. 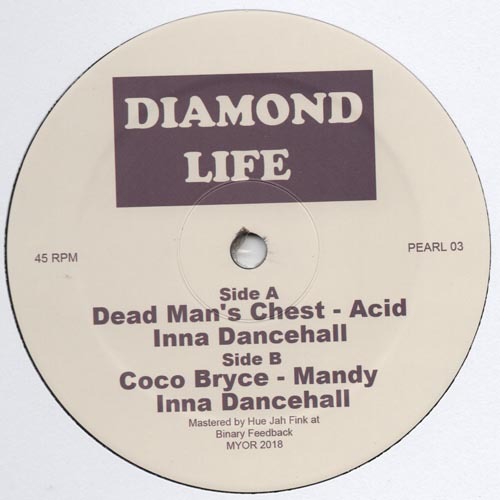 first one blends here some acid with some jungle breaks, flipside mr. bryce rolls out his dancehall version with wild soundcard like synth guitar stabs.